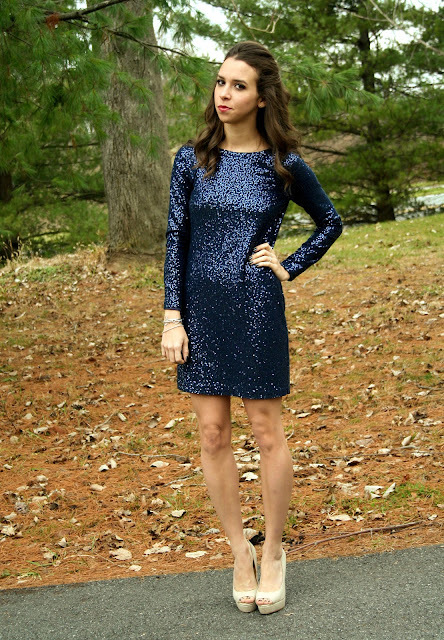 December means holiday parties which means sparkles and all of the translates into me spending too much time trying to find the most sparkly dress possible. For my boyfriends work holiday party I opted for this beautiful Tibi shift dress that I rented from Rent The Runway. After some emergency safety pin work, we got the dress to fit wonderfully. We played some games in the game room, ate tons of food and danced the night away. Not bad for the first holiday party of the year. GORGEOUS. The colour, the sequins, the cut...simply gorgeous. GORGEOUS dress. It's great to see you posting again!